The whip-smart, stunning Bachelorette lives in Atlanta, where she works as an Assistant District Attorney for Fulton County, Georgia. Andi is one of very few women working as a gang prosecutor and she aims to keep her community safe by putting criminals behind bars. She hopes that one day her own children will live in a beautiful world full of warmth and opportunity. But first, she must fearlessly pursue her next goal - to find the wonderful love of her life. Andi is the younger of two sisters and grew up learning how to hunt and fish, both activities she still enjoys -- almost as much as she loves to shop. Andi was a sorority girl at Louisiana State University until she graduated in 2009. After that, she earned her JD from Wake Forest’s Law School in 2012. She has been an Assistant District Attorney since passing the bar in her native Georgia and has been prosecuting criminals ever since. Hosted by Chris Harrison, “The Bachelorette” is a production of Next Entertainment in association with Warner Horizon Television. Mike Fleiss, Martin Hilton and Alycia Rossiter are the executive producers. “The Bachelorette” is broadcast in 720 Progressive (720P), ABC's selected HDTV format, with 5.1 stereo surround sound. 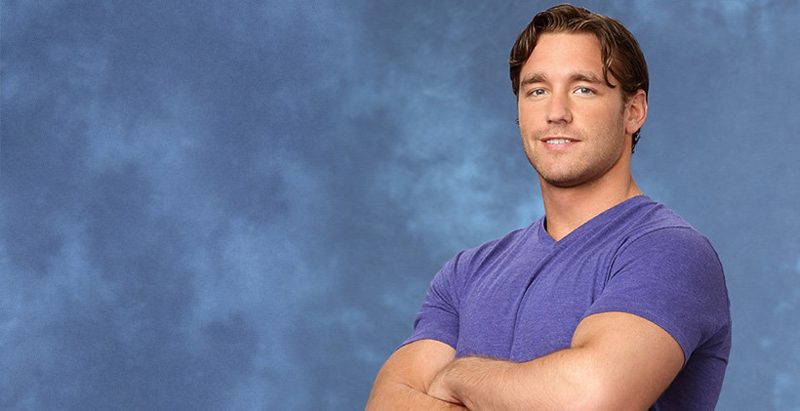 One of the Bachelors will be competing in Andi's season has died. (Note: THIS IS A SPOILER). 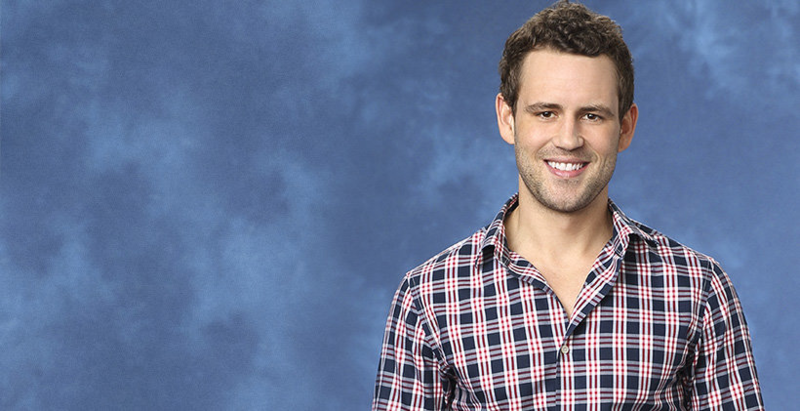 One of the competitors on Andi Dorfman's season of "The Bachelorette" has died, his sister confirmed. Eric Hill, an adventurer who sought to visit every country in the world in less than 1,200 days, was involved in paragliding accident Sunday that left him in a coma. He died this morning. "Eric shared his final journey with us this morning as all his immediate family were able to be at his side when he passed away. Thank you to all of your love and support and prayers and fasting," Karen Tracey wrote on her Facebook page. "He gave us such a gift of a life fully lived and fully shared, and allowed us all to be a part of his last adventure here on earth. It is hard to think of life without his bright spark, but we know he is on to new adventures." According to reports, Hill's parachute collapsed while he was paragliding in Utah with a friend. The California native, who called his trip around the world, "The Global Odyssey," did not seem to be filming the ABC reality series at the time of the accident. "We are deeply saddened to hear about the tragic passing of our friend, Eric Hill. Eric inspired us every day with his passion, his courage and his adventurous spirit, and for that we are very thankful," "Bachelor" producers told ABC News. "On behalf of our cast, crew and producers, we send our love, our thoughts and our prayers to Eric’s family during this difficult time. Andi Dorfman, 27, a beautiful and successful woman, has it all at first glance — her loving family, her great friends, and even her dream job. But she realized there was something missing. So, last September, she put her busy life on hold to try and find love on “The Bachelor.” She thought she had found her match, but in the end it was not meant to be, and Andi walked away from Juan Pablo. She did not, however, let that experience stop her desire to continue her search for her “great love.” Now, unwilling to settle for less, she is willing to put her dream job as an Atlanta assistant district attorney on hold to pursue the love of a lifetime. Andi will embark on her own journey to find her soul mate, choosing from 25 handsome bachelors when she stars in the tenth edition of “The Bachelorette,” which will premiere at a special time MONDAY, MAY 19 (9:30–11:00 p.m., ET) on the ABC Television Network. 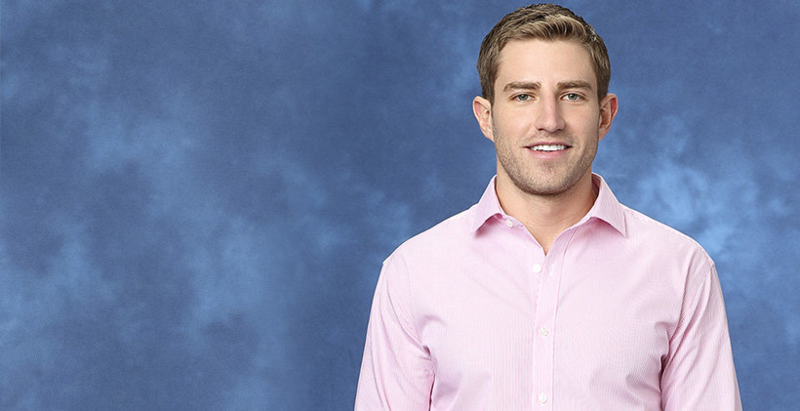 Editors’ note: “The Bachelorette” will return to its regular time slot on Monday, May 26 (8:00-10:01 p.m., ET). Hosted by Chris Harrison, “The Bachelorette” is a production of Next Entertainment in association with Warner Horizon Television. Mike Fleiss, Martin Hilton and Alycia Rossiter are the executive producers. “The Bachelor” is broadcast in 720 Progressive (720P), ABC's selected HDTV format, with 5.1 stereo surround sound. A parental guideline will be assigned closer to the airdate. “Episode 1002” – Eric is pumped when he finds out that he scores the first romantic outing of the season. Fourteen men are in for a big surprise when they meet Andi at a popular male exotic revue for what will be a special event for charity – “Bachelor Gives Back.” But what they will be asked to do will cause everyone to blush. On the last date, Chris is treated to a glamorous 1940’s style day at the races at Santa Anita Park. But, at the cocktail party, one man needs to apologize for his bad behavior during the group date and has to hope Andi will give him a second chance. 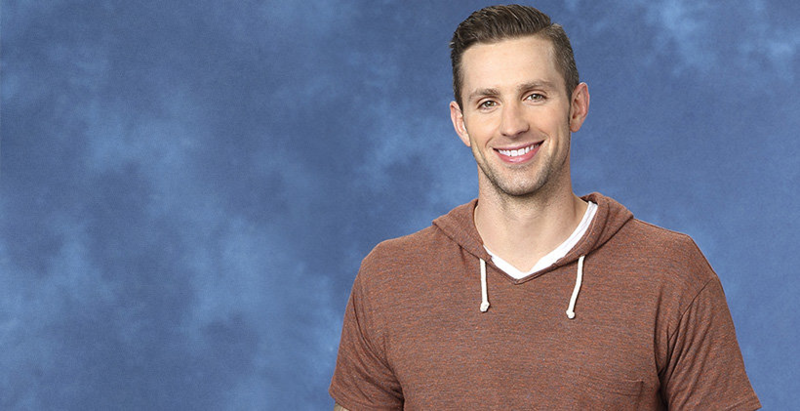 After careful deliberation, three men are sent packing as the Bachelorette attempts to make her fairytale come true, on MONDAY, MAY 26 (8:00-10:01p.m., ET) on the ABC Television Network. 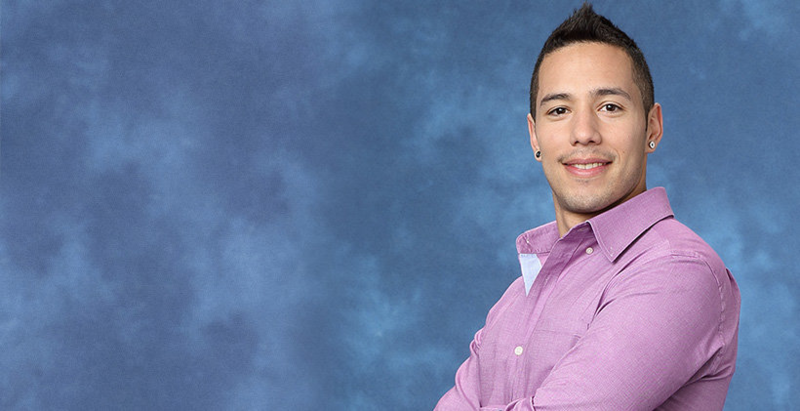 Andi drives away with a very enthusiastic Eric, leaving behind 18 disappointed bachelors. She pulls over to a quiet spot along the coast for what seems to be a laid back day at the beach flying kites and building sand castles. Just then a helicopter swoops in and takes them from a Southern California sandy beach to the snow covered peaks of the San Bernardino Mountains and Big Bear. Still dressed in their beach wear, they are met by professional snowboarder Louie Vito. After a brief lesson on maneuvering down the slope, they brave it on their own, gliding down the mountainside hand in hand. Later over a fireside dinner, Eric charms Andi with breathtaking stories of his spectacular adventures. She is intrigued, but will Eric set aside his globetrotting trips to settle down and start a family? The next day, 14 men join Andi at a hip Hollywood nightclub, but they are in for a big surprise when they are met by members of a popular male exotic revue, “Hollywood Men,” who greet them with a racy performance that leaves everyone stunned. Andi reveals that this date is actually a special event for the charity “Bachelor Gives Back.” The way they will raise funds will be to strip in front of a live audience. Andi divides the guys into fantasy themed groups for their routines, resulting in hilarious auditions, but two unlucky men have to perform solo. One nervous bachelor really feels the pressure, but will he fight through his anxiety to show Andi how committed he is – or just use the nearest exit? And another man relies too much on alcohol to get up his courage to take it all off. At the after party, Josh attempts to convince Andi he is more than a pretty face. But one man’s out of control antics threaten to ruin the party, leaving Andi to wonder whether all the men are really here for her. Will she hand out a rose or cancel the party? Andi treats Chris to a glamorous day of horse racing at Santa Anita Park, as the couple gets decked out in outfits reminiscent of the 1940’s. They settle into their VIP seats with mint juleps and binoculars ready to see if their bets pay off. That night, they enjoy a special evening, slow dancing to the songs of “This Wild Life” during a private concert. Does this mean their relationship is on a fast track? At the cocktail party, the rambunctious bachelor who went off the rails at the group date after party tries to apologize for his bad behavior, but will Andi forgive him? 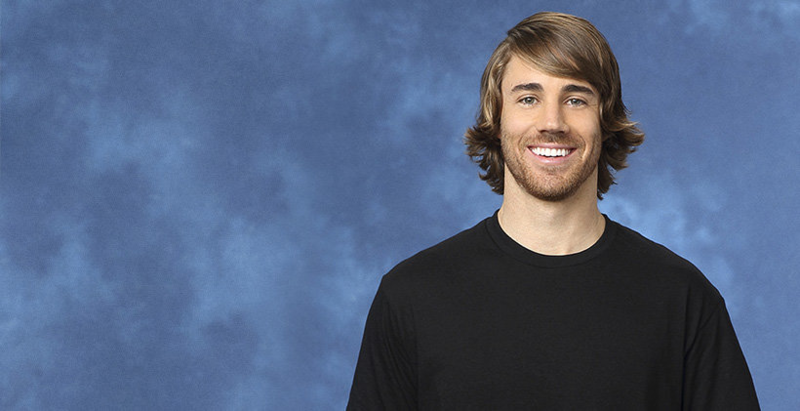 Meanwhile, other guys fall all over themselves trying to impress the Bachelorette. 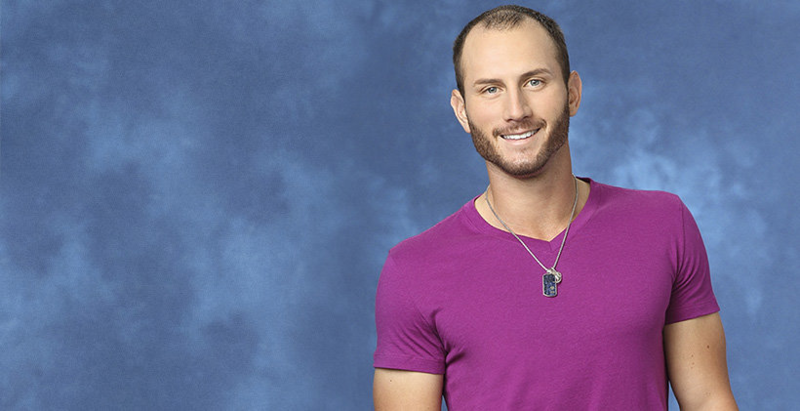 Sixteen contenders are chosen to remain on the journey to win Andi’s heart. “Episode 1003” – A two-night Bachelorette special event begins as Andi hits the road with her 16 remaining bachelors to the beautiful coastal city of Santa Barbara, California. Nick V., who has had his share of doubts about this journey, will get a chance to ease his worries on a day-long tour of the city with Andi. Twelve guys get the date of a lifetime when they discover they will be singing with R&B icons “Boyz II Men,” but are stunned to find out it will be in front of a live concert audience. J J and Andi take a leap into the very far future when they are turned into a sweet 80-year-old couple by Hollywood makeup artists and proceed to fool the Santa Barbara citizens. Meanwhile, one bachelor receives devastating news that brings his search for love to a halt, but how will Andi react? 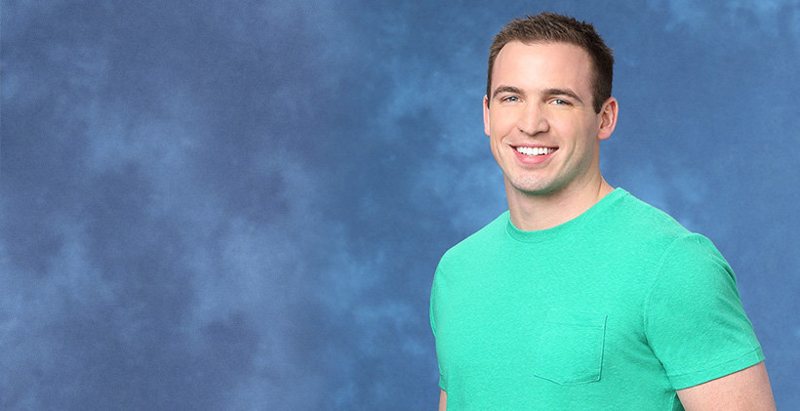 And a major confrontation between some of the men brings questions about whether one of them is here just for a good time, on “The Bachelorette,” SUNDAY, JUNE 1 (8:00-10:01 p.m., ET) on the ABC Television Network. 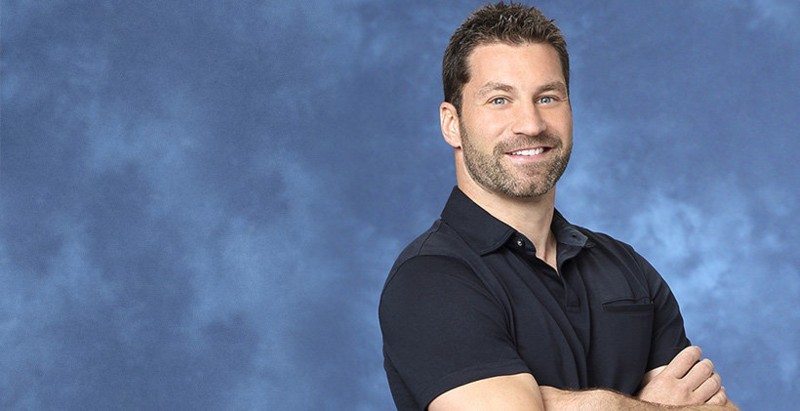 The second part of “The Bachelorette” special event, “Episode 1004,” will air on MONDAY, JUNE 2 (8:00-10:01 p.m., ET). Nick V. spends a casual day with Andi riding bikes and hiking to a private perch in the mountains, culminating in a private dinner in the clock tower of the Santa Barbara courthouse. His misgivings gradually fade as he realizes how easily he could fall in love with the Bachelorette. But will she feel the same? Twelve unsuspecting men get the thrill of their lives when they realize that they will be singing with the award-winning R&B group “Boyz II Men,” harmonizing with them on one of their biggest hits, “I’ll Make Love to You.” The bachelors hit more than a few sour notes while rehearsing with the singers and then are left reeling when they are told they will be singing live on stage at one of the group’s concerts. One guy has perfect pitch, but the others are trying to calm their nerves. A rose is still up for grabs at the group date after party and the men turn up the heat. Andi gets a first kiss from one man reaffirming their connection and sparks begin to fly with another passionate bachelor. Back at the mansion, one of the men is the recipient of some shocking news that ends his journey. What will this mean to the other men and Andi? At the cocktail party, one man steps up with a bold gesture that might backfire instead of impress the Bachelorette. And the bro-mance is over when several of the men clash over who is there for the right reasons. In the end, 13 men continue on as Andi and her bachelors travel to New England. “Episode 1005” – Picturesque Marseille in southern France is the romantic backdrop for the start of Andi’s international quest to find her great love. Josh is the lucky man to get the first one-on-one date, exploring this beautiful coastal city with her. 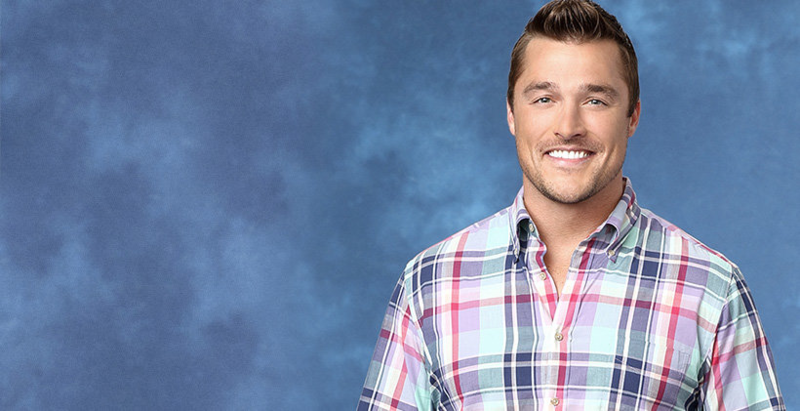 Their chemistry is hot, but will this handsome bachelor let Andi know he is capable of a deeper relationship? Nine men are rendered speechless when Andi takes them on a group date where a professional mime teaches them the tricks of the trade. Then, they are let loose on the French public, but there is trouble festering among bachelors which surfaces at the after party. Will Andi be dragged into the drama? 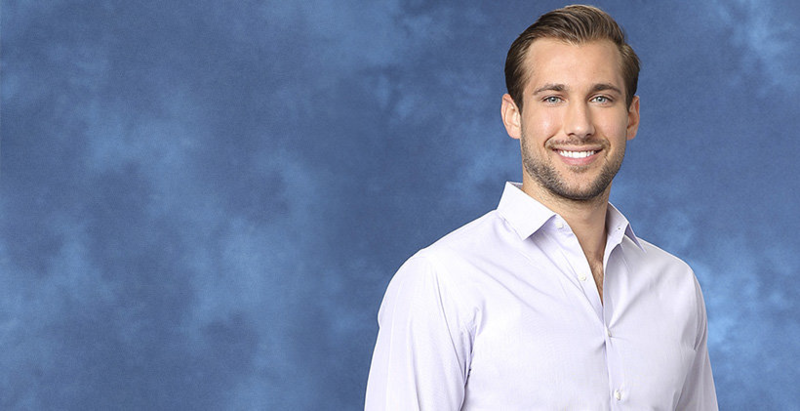 Brian’s individual date with the Bachelorette might satisfy her appetite, but will it ignite the passion in their relationship? 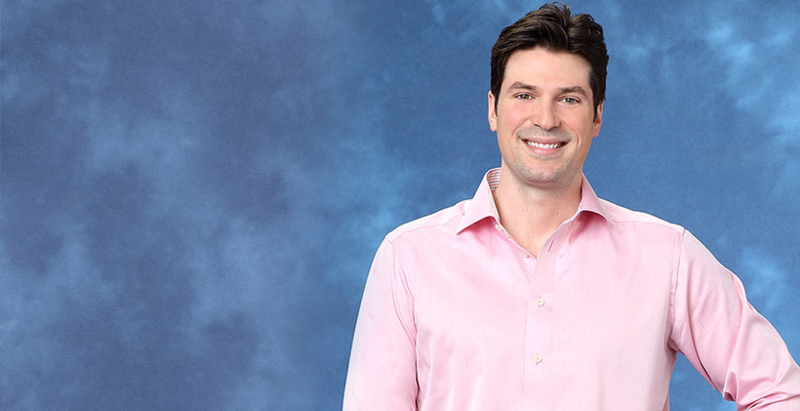 It all ends in an explosive rose ceremony, stunning the remaining bachelors, on “The Bachelorette,” MONDAY, JUNE 16 (8:00-10:01 p.m., ET), on the ABC Television Network. Andi is skeptical about whether Josh is too good to be true, even if they have physical chemistry, so she invites him on his first one-on-one date to see whether they can share a more meaningful connection. The couple spends the day browsing through local shops, picking up the makings for a romantic picnic. They board a private luxury sailboat and head for the Calanques, a chain of breathtaking rocky islands off the coast of France. Later, the two are at the Palais Longchamp where Josh will get the opportunity to show Andi if this could lead to a real relationship. Andi has one more surprise for Josh: a private concert by singer-songwriter Ben Fields. “No talking aloud” is the rule of the day when Andi takes nine men to a professional mime for him to coach them on his silent art. Then, the bachelors test their skills with the French public. What will they think of these Marcel Marceau wanna-bes? As usual, the guys try their best – except for one man who has an attitude problem. At the after party, one arrogant bachelor is confronted about his overly-confident bragging that he is “frontrunner,” and Marquel calls out another man who he believes has made some reprehensible comments about him. J J steals Andi away from the drama for a fun romantic ride on a Ferris wheel overlooking the city’s glittering lights. 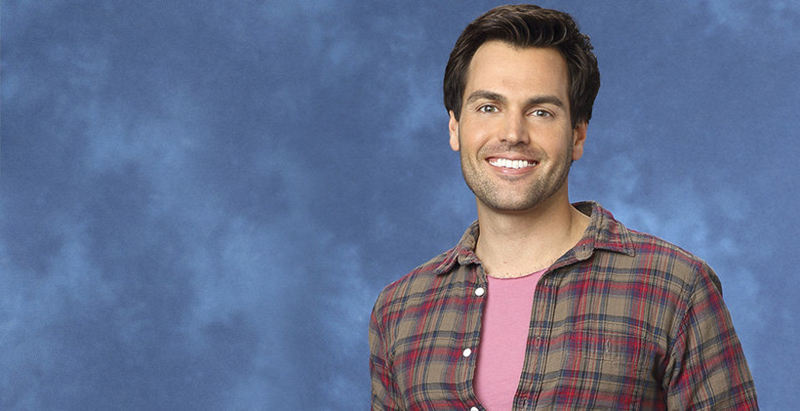 But will all the tension make Andi change her mind about handing out a rose? Andi’s last one-on-one date is with Brian, who needs to prove he can make the first move. The couple attends an advanced private screening of the new DreamWorks Pictures, “The Hundred-Foot Journey,” in theaters August 8. Our two potential soul mates, inspired by the movie, shop for ingredients for a romantic dinner at a French market. However, back in Andi’s flat, will the date boil over with chemistry or will it be put on the back burner? The Chateau Pont Royal is the dramatic setting for a gripping rose ceremony with Andi making a last minute decision that throws all the men off guard. In the end, there are eight men left to journey with her to one of the most romantic cities in the world – Venice, Italy! “Episode 1006” – One of the most romantic countries in the world – Italy -- plays host to Andi and the eight remaining men. Nick is worried that he won’t get any time with Andi to set the record straight about his bad attitude. Six anxious bachelors have concerns when they have to take a lie detector test. Are they all hiding something? Finally, Cody gets a one-on-one date and must hope that his emotional plea to Andi to give their relationship a chance to blossom will be enough to get a rose. It’s getting down to crunch time -- two weeks before the hometown dates-- and Andi needs to make some tough decisions. 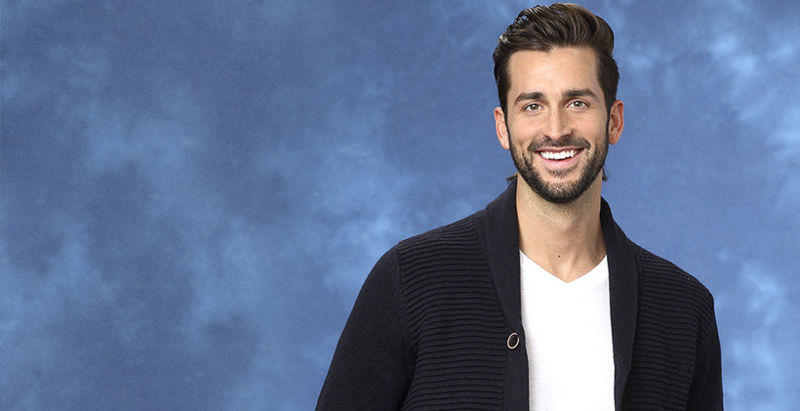 The men who thought they were frontrunners suddenly feel like they are on thin ice, on “The Bachelorette,” MONDAY, JUNE 23 (8:00-10:01 p.m., ET), on the ABC Television Network. Andi pulls her first surprise on the streets of Venice, starting her first one-on-one date immediately – with Nick. The shocked suitor needs to convince Andi that he is not the arrogant man that the other bachelors say he is. The date is the very essence of romance with the couple strolling the fabled city hand in hand, taking a gondola ride along the waterways, touring Venice’s historic sites, including St. Mark’s Square and the Bridge of Sighs. But does their undeniable chemistry mean their relationship is back on track? That night, Andi, dressed in a stunning full-length gown and wearing an elegant mask, meets Nick outside the Palace Ca Zenobio, a palace where royalty would hold grand masquerade balls. But the beautiful surroundings don’t stop Andi from addressing her date’s unattractive attitude and behavior on group dates and his cocky reputation in the house. Will Andi still surprise Nick with a private masquerade ball or will what he says change her mind? The Bachelorette takes six excited bachelors to the quaint town of Monselice, where they soak up the local culture. When they arrive at a medieval castle where prisoners were interrogated, Andi reveals that all the men will be taking lie detector tests. One charming man is nervous that his big secret will be uncovered. But the real shock comes when Andi finds out that four of her bachelors are not telling the truth. What will she do about it? At the group date after party, one dashing bachelor shocks Andi with a surprise revelation while another man confronts her about his dislike for taking the lie detector test. 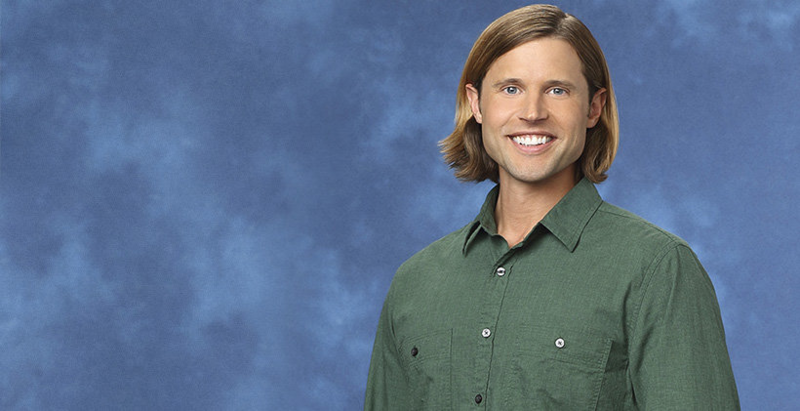 And the Bachelorette’s secret admirer is finally exposed. But one disgruntled suitor verbally attacks the man who receives the group date rose. Finally, Cody gets his one-on-one date with Andi, and he plans to go all out. The couple arrives in Verona, the home of “Romeo and Juliet.” There, they head to the Juliet Club, a group of volunteers, who answer thousands of letters addressed to “Juliet.” The two read and respond to love letters from the lovelorn. Andi is touched by Cody’s sweet side. That night at a candle-lit dinner she is overwhelmed by his passionate appeal to give him a rose to continue their journey. With hometown dates just two weeks away, tensions are running high and all the men feel the pressure to get some alone time with Andi. Who will survive the rose ceremony at the lovely Villa Mosconi Bertani? Which men have found themselves unlucky in love? Six men are on track to accompany Andi to Brussels and continue on the romantic journey. “Episode 1007” – The drama of Italy is behind Andi, but she still must determine which four men will have the chance to take her home to meet their families. 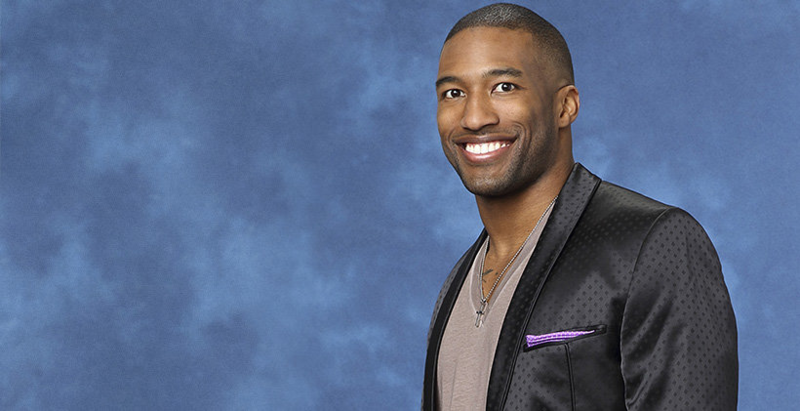 Marcus gets his second one-on-one date, and he has a surprising revelation for the Bachelorette. An unexpected visitor pays a late night call to Andi for some private one-on-one time, but will this bold move backfire? 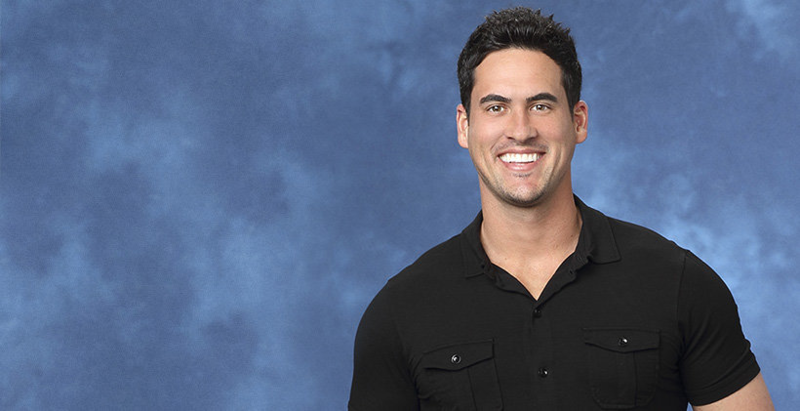 Josh captures the week’s other individual date, but a cautious Andi needs to hear one important thing from the handsome bachelor before considering giving him a hometown date. On the final group date of the season, four men meet Andi at the ruins of a castle for a playful bike ride. One man will get the group date rose and a hometown date, but will incur the wrath of the rest of the men. 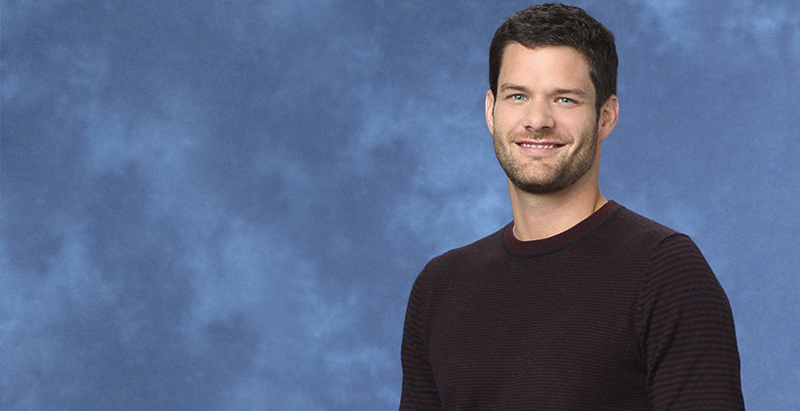 Finally, Andi needs to make a difficult emotional decision to end the journey of two of bachelors and prepares to join the other four in their hometowns, on “The Bachelorette,” MONDAY, JUNE 30 (8:00-10:01 p.m., ET), on the ABC Television Network. Andi feels the need to reconnect with Marcus and decides to sample the best Brussels has to offer with him. Marcus opens up to her with a stunning admission. The couple taste everything from mussels to Belgian waffles as this earnest bachelor continues to profess his love to her. Over dinner at the spectacular Palais de Academies, Marcus shares details of his painful childhood. Andi is touched by his willingness to talk about such a private memory. There is romance in the air as things heat up after dinner. But will this all add up to a hometown date? After returning to her hotel, an unexpected gentleman caller pays Andi a visit. He whisks her away for some late night private time to an outdoor café under the stars. Will this bold move pay off or backfire? Andi’s next one-on-one date is with Josh in the quaint town of Ghent. The two stroll hand-in-hand past historic landmarks and through the beautiful countryside. There is just one thing missing from this perfect date and without it, Andi is doubtful she will be making a trip to meet Josh’s family. After exploring Ghent and lighting candles at St. Baafs Cathedral, the couple arrives at the magnificent Castle of the Counts. They are treated to an outdoor concert by popular country duo American Young to end the magical night, but will Andi be able to give Josh a hometown date? The final group date of the season has the only date rose of the week and that man will be guaranteed a hometown date. The four men meet Andi at Les Ruines de Montaigle where, despite the mounting tension between the bachelors, the group has fun jumping on a rail bike built for four and peddling their way to a monastery, Maredsous Abbaye. Once they arrive, Andi explains that out of respect for the monks who live there, there can’t be any outward signs of affection or kissing while on sacred ground. Brian makes an uncharacteristically bold move to tell Andi how he feels about her. Another bachelor leads her to a pottery room, outside the monastery walls, where the two re-enact a passionate scene from “Ghost.” But once Andi gives out the group date rose, she explains that she will spend the rest of the romantic evening with that lucky guy and the rest of the men will need to return to the hotel. The unfortunate three barely can contain their anger and disappointment. Andi and her date have a romantic dinner in the waterfront town of Dinant. This man is ready to make her his wife. Fireworks cap off the night, but when this suitor arrives back at the hotel, another kind of explosion greets him, as one of the most contentious confrontations of the season erupts between him and the rest of the men. The six men arrive at Chateau de la Hulpe to await their fate at the rose ceremony. Everyone is hoping for one last chance to prove to Andi that she needs to come home and meet their families, however, her heartbreaking decision is a complete shock to the two bachelors she sends home. The four very happy remaining men will return to the States and introduce Andi to their families. “Episode 1008” – Andi’s emotionally charged, whirlwind world tour to find love comes back to the U.S. as she travels across country to visit Nick, Chris, Josh and Marcus in their hometowns and to meet their families. Her spirit and resilience is about to be severely tested by the men’s loved ones as she tries to figure out if she can love more than one man at a time. 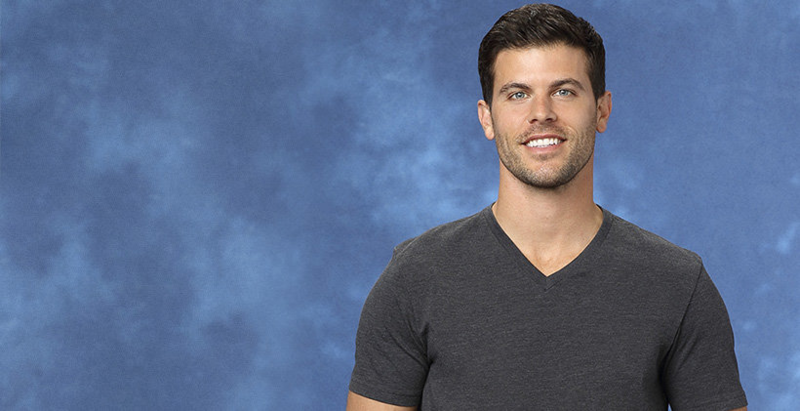 Are all of these bachelors ready to be married? Andi will try and find out from the people who know them best, as she moves closer to making her fairytale come true. 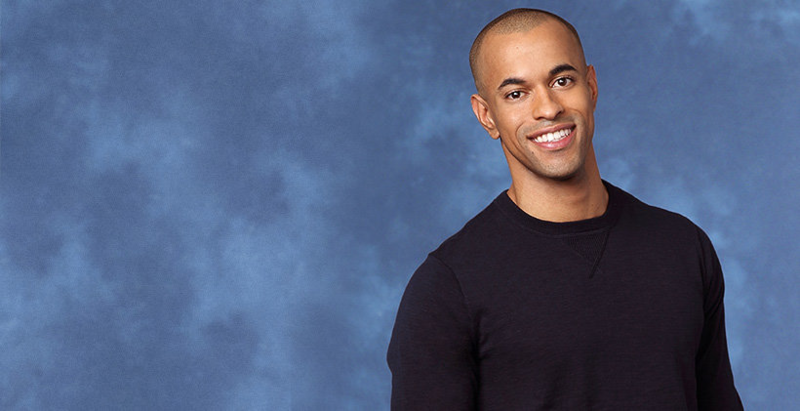 However, the fantasy is interrupted by a real-life tragedy as the group learns about Eric Hill’s heartbreaking fatal accident, on “The Bachelorette,” MONDAY, JULY 7 (8:00-10:01 p.m., ET), on the ABC Television Network. Andi starts her hometown visits in Milwaukee where Nick, who has been one of her favorites since the first night, treats her to a true taste of the city, complete with a tour of a brewery, sipping a special beer named after the couple and some energetic polka dancing. But the real test will be when Andi is introduced to Nick’s very large family – all 17 of them. Nick is so devoted to his parents and 10 siblings that he is intent on getting their approval before he tells Andi he loves her and wants to spend a lifetime with her. She is even grilled by Nick’s nine-year-old sister. Will Andi be able to secure the approval of all these family members? Next, Andi travels to Arlington, Iowa -- population less than 800 -- to visit Chris, the handsome and extremely successful farmer whose charming manner has proved an aphrodisiac to the Bachelorette. Andi is enchanted by the serene beauty of the Iowa countryside and the pair enjoy a tractor ride and a romantic picnic in the middle of a cornfield. There, they discuss what their future might be like together. Chris has a wonderful surprise for Andi to confirm his feelings for her. This bachelor’s fun-loving family envelopes her with small town hospitality, sharing a laugh-filled evening of childhood memories and a game of hide and seek. Chris’ family is more than Andi could have hoped for, but what does she really feel about swapping city life for country living? Andi heads south to Tampa to visit Josh’s family. They enjoy a flirtatious afternoon playing baseball at his childhood field that was filled with future championship dreams. However, Andi learns that underneath that confidence Josh seems to exude, is pain from unfulfilled dreams. After five years of struggling, Josh quit professional sports to devote more time to his family – and in particular his younger brother, who now has been drafted into the NFL. Although she is touched by his commitment to his brother, Andi is concerned that he might not make the time necessary to make a relationship his number one priority. That anxiety deepens when she meets his family who is clearly dedicated to the pro football career of Josh’s brother. Where does Andi fit into this family picture and Josh’s life? For her final hometown visit, Andi journeys to Dallas, where Marcus has a special surprise waiting for her upon her arrival. Marcus’ loving and supportive family is anxious for Andi to join them. For her part, Andi is wondering if she will be able to catch up with the deep feelings Marcus has showed her, making it clear that she is the love of his life. All four men and their families have touched Andi’s heart. As she heads back to Los Angeles, she is on cloud nine. But she and the four remaining bachelors are met with the most shocking news of the season: the tragic death of Eric Hill from a paragliding accident. Andi struggles to put on a brave face and along with the shaken men, push through the most emotional rose ceremony of the season. She says a heartbreaking good-bye to one stunned bachelor. The Bachelorette and her final three men prepare to leave for their last stop, the lush tropical island of the Dominican Republic. “Episode 1009” – Romantic adventures await Andi and the final three men – Chris, Josh and Nick – as they travel to the beautiful island of the Dominican Republic. There is electricity and passion in the air during these sand and surf excursions as Andi continues to explore what her future would be like with these potential partners. She will spend special intimate time with each of the final guys and there are possible invitations to spend the night in a “fantasy suite.” Will Andi see another side to these bachelors? However, she makes a stunning decision that changes the direction of her journey to find love, on “The Bachelorette,” MONDAY, JULY 14 (8:00-10:01 p.m., ET), on the ABC Television Network. Andi and Josh spend the day touring Santo Domingo, mingling with locals and playing a pickup baseball game with some children, which gives her a glimpse into what their future could be like. Later, Josh shares his innermost thoughts with Andi. Is he too good to be true? Can she really trust him with her heart? Andi feels herself falling for Josh, but even as he reiterates his love for her, her self-sabotaging habits might prevent her from offering him a card to the “fantasy suite.” Will she abandon her distrust and open up to the opportunity for love? On the last date of the week, Andi meets Chris for a wonderful day of horseback riding in the country. The conversation is playful and flirtatious as usual, but she must figure out if her relationship with Chris is on the same level as her other two suitors. They meet for a hot, sensual oceanfront dinner and Chris bares his soul to Andi. This is exactly what Andi needed to hear – or is it? The Bachelorette has traced a different path to love with each of these three men. Andi might be sure about what she wants for her future, but she is still very nervous of the unknown as she moves into this rose ceremony. Her remaining two contenders toast to meeting Andi’s family as their adventure continues in the Dominican Republic. Will her fairytale have a happy ending or is she headed for heartbreak? “The Men Tell All” – It’s an exciting, unpredictable reunion viewers won’t want to miss as the most memorable bachelors from this season – including Andrew, Brian, Chris, Cody, J J, Marcus, Marquel and Tasos -- return to confront each other and Andi one last time on national television to dish the dirt and tell their side of the story. Ashley and J.P. Rosenbaum return, and they have plenty of good news to share since their storybook wedding in December 2012. Andi will come face-to-face with the men she sent home brokenhearted as they try to get some closure about their fractured relationships. 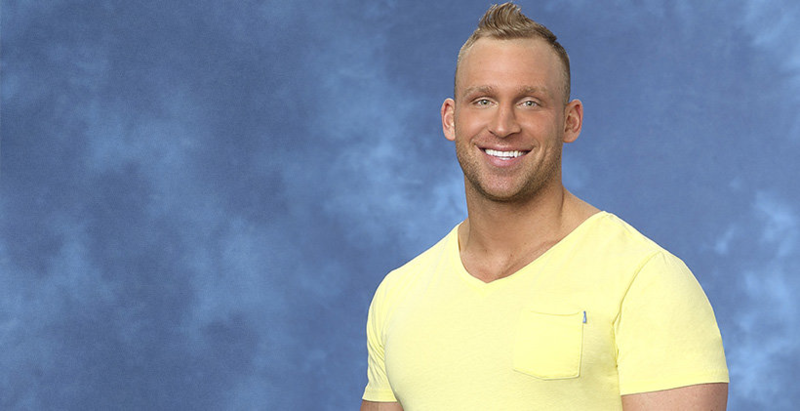 A sneak peek of the new hot ABC series, “Bachelor in Paradise,” will be featured along with a first look at the explosive final days of Andi’s journey to find love, on “The Bachelorette: The Men Tell All,” MONDAY, JULY 21 (8:00-10:01 p.m., ET), on the ABC Television Network. Ashley and J.P. pay a visit to update viewers on their exciting plans for the future. And then, what Bachelor Nation has been waiting for: A sneak peek at “Bachelor in Paradise.” Some of the most popular Bachelor and Bachelorette alumni, including the bad boys, the hottest guys and the sexiest women, escape to a tropical paradise for a second chance at love. It’s the summer destination for drama, romance and adventure. Andi faces some tough questions from the unforgettable bachelors she sent home and shares some insight on what it was like dating so many remarkable men, who were all hoping to capture her heart. Sparks fly and tempers flare when the guys confront one another and Andi about their feelings for the first time since their emotional exits. Chris, the last man to be sent home, is looking for answers from Andi about what went wrong with their relationship. Marcus takes the hot seat and discusses his devastation at being sent home when he was head-over-heels in love with Andi. Fan favorite and cookie connoisseur Marquel, will confront Andi as to why he never got out of the friend zone. And Andrew, one of the most controversial bachelors, will try and explain his questionable and contentious actions. Is he the one telling the truth? Additionally, the special will include some light-hearted bloopers from this season, as well as a preview of the emotional final days of Andi’s journey to find her soul mate. 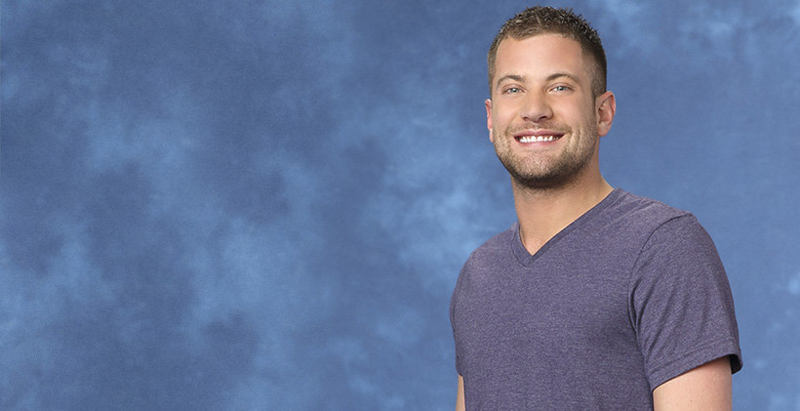 Which bachelor is best for her – Josh or Nick? Who will get the final rose? 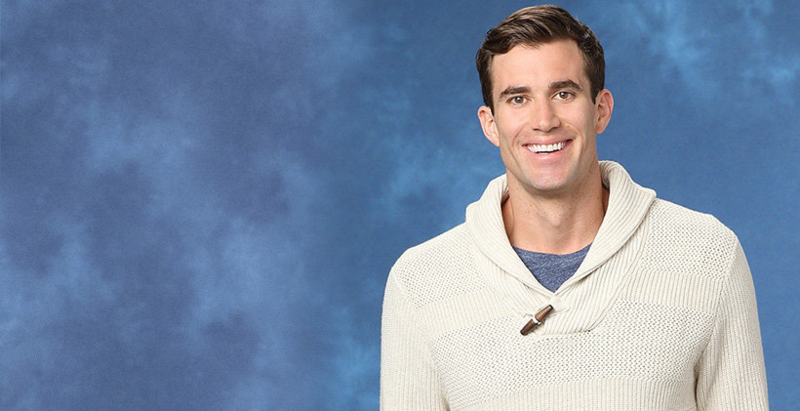 Or will Andi remain a Bachelorette? “Episode 1010 --Season Finale – After Andi’s dramatic breakup with Juan Pablo last season, she refused to give up on her search for her one great love. After surviving shocking twists and turns and a journey filled with laughter, tears and love, Andi narrowed down the 25 bachelors to two fabulous guys – Josh and Nick. Josh is the type of man Andi has always dated in the past – handsome, athletic and playful – but Andi is plagued with a nagging doubt that he may be too good to be true. Her relationship with Nick is undeniably passionate and filled with an intensity she has never known, but she worries that it may be overwhelming. 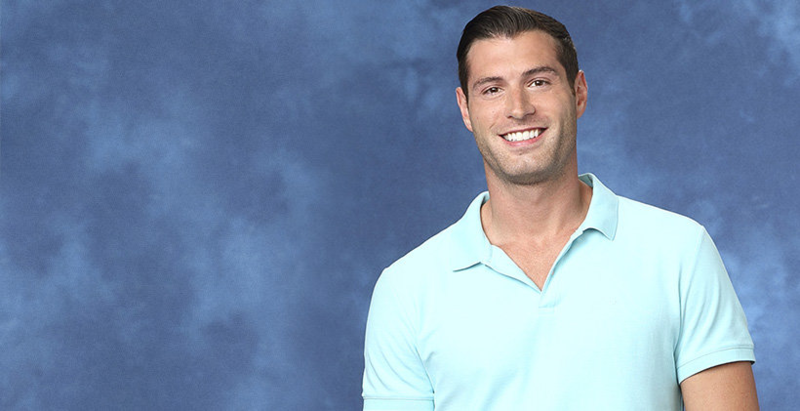 In this week’s dramatic conclusion, Andi is absolutely torn between the two men and can envision a future with both, but time is running out, on the Season Finale of “The Bachelorette,” airing MONDAY, JULY 28 (8:00-10:01 p.m., ET), on the ABC Television Network. Then, emotions run high as Andi sits down with Chris Harrison, live, to talk about her two final bachelors from this season – Josh and Nick. She will take viewers back to those final days in in the Dominican Republic when she needed to make her heart-wrenching decision. Both men will return to sit with Andi and discuss the shocking outcome of the show and to discuss their relationships. It’s the emotional ending to Andi’s heartfelt journey to find true love, on “The Bachelorette: After the Final Rose,” MONDAY, JULY 28 (10:01-11:00 p.m., ET). Andi introduces both men to her family for an important test. Family is extremely crucial to both bachelors, as well as Andi, so it is essential that these meetings with Andi’s family go well. Who will make a lasting impression? The family is first introduced to Nick who is determined to ask Andi’s father for permission to marry his daughter. But things get off to a shaky start when the usually confident bachelor is almost tongue-tied when he faces his potential in-laws. Will he be able to convince them that he is the only man for Andi? 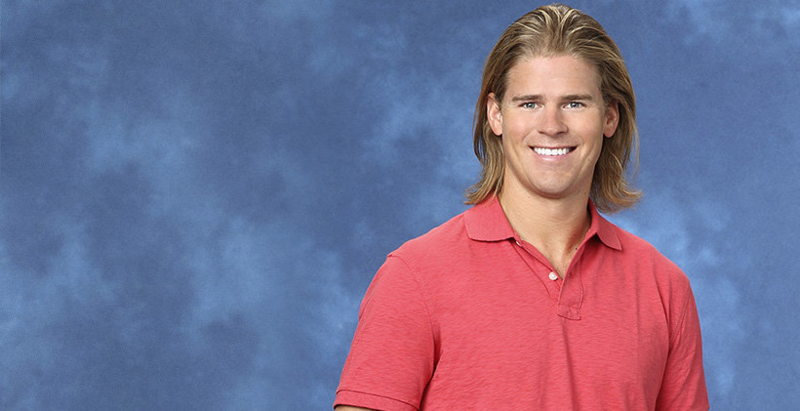 Josh is next, but will his quick wit and easygoing charm raise a red flag rather than win over Andi’s family? Andi’s dad is right on target when he says that Josh is the kind of guy Andi falls for but never settles down with. Can Josh win their approval and prove to them he is ready to marry their daughter? Andi has important last dates with both men. She explores the coast of the beautiful Dominican Republic with Josh from the deck of a sailboat. Later, things turn serious as questions arise about the possibility of spending a life together, and he gives her a heartfelt gift. Will Josh be the one to win Andi’s heart or will her lingering doubts push her into Nick’s arms? Andi and Nick go off-roading and wind up at a secret lagoon for a private swim. That evening, their passion heats up as the couple realizes their chemistry is undeniable. Nick gives Andi a special gift as well that sums up their relationship and his true intentions. Is their special connection enough to carry Nick to the altar? The final days of Andi’s journey are filled with questions. Then, in a surprising, explosive ending, Andi must do the hardest thing she has ever done. Will her trip of self-discovery end in an engagement or she headed for heartbreak?